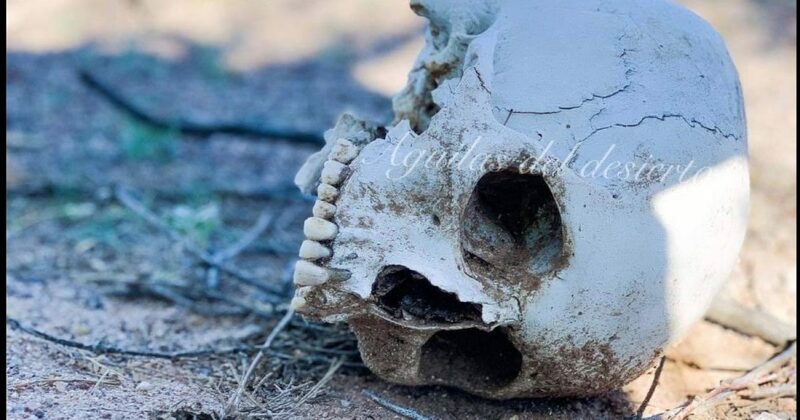 The skeletal remains of 127 dead migrants were found in the Arizona desert. The remains were found by a non-profit organization that searched for dead migrants in a remote area in the southwestern part of the state. The photos were reminders that high numbers of migrants continue to die annually in southern Arizona after crossing the border illegally, as increased border security over the years has pushed some migrants to take more treacherous treks to avoid being caught by the Border Patrol. In 2018, the remains of 127 dead migrants were recovered in southern Arizona, the Pima County Medical Examiner’s Office said. The office conducts autopsies on the remains of migrants found in Pima, Cochise and Santa Cruz counties, where the majority of migrants die. The 127 remains recovered in 2018 were slightly below the 128 remains recovered the previous year, Medical Examiner’s Office data show. From 2001 through 2018, the remains of at least 3,011 dead migrants have been recovered in southern Arizona, according to the Humane Borders website. The number of dead migrants shows there is a humanitarian crisis at the border and building a wall or similar barrier would help mitigate the number of illegal crossings into the U.S.
Speaker of the House Nancy Pelosi (D-CA) is wrong – building a wall is moral. For more information go to Aguilas Del Desierto Facebook page.